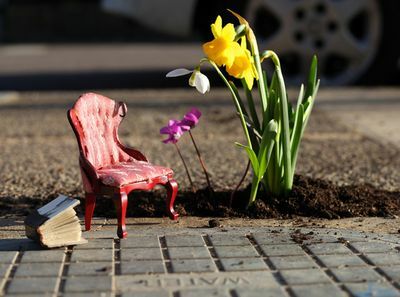 Have I ever told you about my secret desire to be a guerrilla street artist? 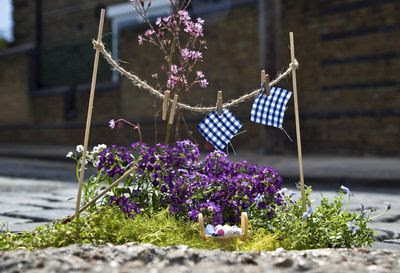 I'm not sure how I'd make that happen, but I'm inspired by the The Pothole Gardener. 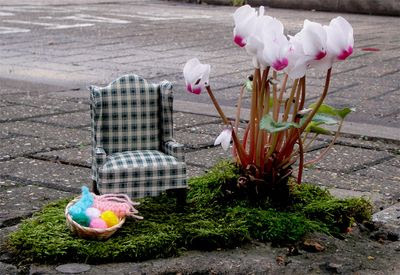 Planting shrubs in potholes isn't anything new, yet he takes it to a new level with miniature props. 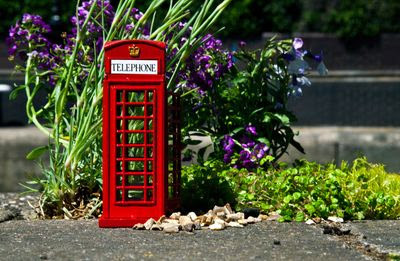 He recently made a video, Holes of Happiness, which captures Londoners' initial reactions to his sidewalk creations. 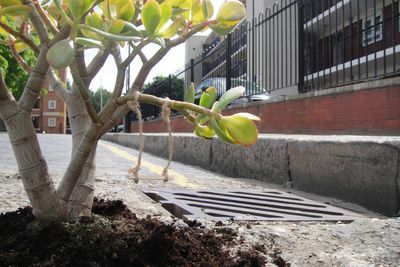 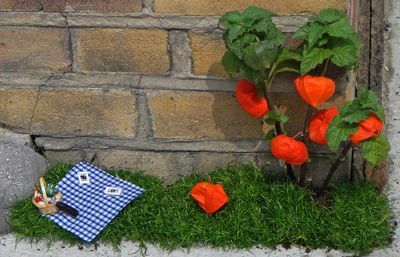 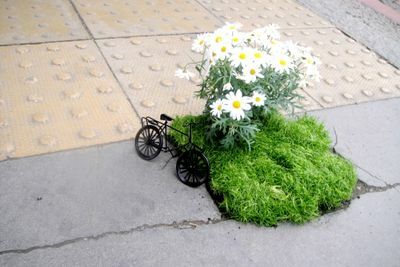 What would you do if you saw a little pothole garden?